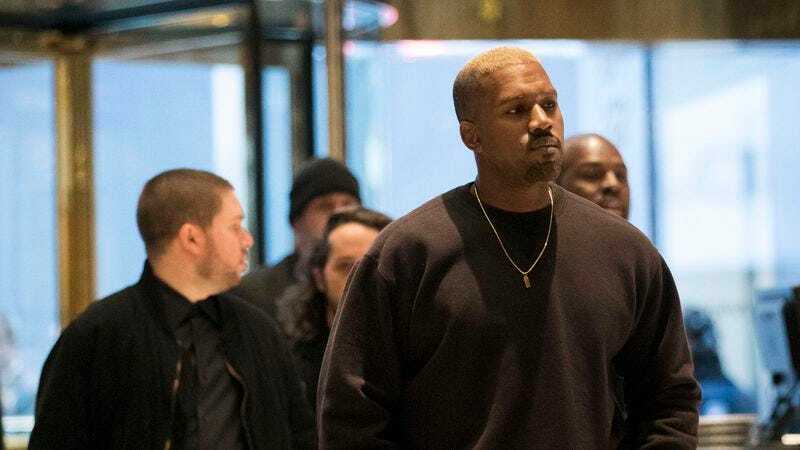 Earlier today, a giant gold statue of Kanye West as Jesus in a crucifixion pose appeared on Hollywood Boulevard in Los Angeles, and though that may seem a little weird, here’s the weirdest part: West himself had nothing to do with it. According to The Hollywood Reporter, the statue is actually the work of a street artist known as Plastic Jesus who previously created a “a life-size Oscar statue snorting cocaine on all fours” and a second Oscar statue with a heroin needle in its arm that was apparently “inspired by the death of Philip Seymour Hoffman.” We’re not sure what the message was supposed to be with the last one other than “an award-winning actor died of a drug overdose,” but you’re never really supposed to understand street art anyway. The Hollywood Reporter story doesn’t say how long “False Idol” will be up, but Plastic Jesus is planning to move it to an art show by February 25.